The Communications and Information Revolution has made it easier for the conman and the lobbyist to establish a concept without being subject to adequate scrutiny. This is not an entirely new situation. The origins of the folk tale about the Emperor’s Clothes date back hundreds of years. The moral of the tale is that a confidence trickster can persuade the gullible that something exists when it does not. It often takes the innocent to see through the lies. Modern continuous news coverage can establish a story about something that does not exist. At the heart of the story there must be a kernel of fact. Around this is built a web of opinion and unproven theory which becomes more distorted as the story is copied around the world. With the press of news, few have the time or the inclination to search behind the story. Repetition soon establishes the tale as proven fact. A favorite proof being an unsubstantiated claim that ‘most people’ agree, or ‘most scientists’ think. In Medieval times, the Black Death swept Europe causing devastation. People searched for something, or someone, to blame. One culprit was the charcoal burner. Scientists believed that pollution from charcoal burning was the only cause of the plague. After much lobbying they persuaded the Pope to accept their theories as proven fact and charcoal burners were banished to the depths of the woods, away from towns and villages. Had modern news broadcasting been available in those times, hundreds of charcoal burners would have been lynched or refused hospital treatment, or had their taxes increased. Today, the news media rapidly whips up opinion and every day we have a new victim of news hysteria, often providing a new taxation opportunity for politicians. It is no fun for today’s latest victim, but the saddest aspect is that real problems either go unaddressed or are superficially dealt with while they are headlines, to be ignored as soon as the latest panic dominates the broadcasts. Unfortunately, the greater the panic, the greater the eventual backlash. We Know Where You Live – or we thought we did. The Identity and Passport Service provides a key element in the Blair regime’s plan to build a Great Index that will provide any public servant with instant access to detailed personal information on every citizen and provide the engine that will make the Internal Passport work. The essential pre-cursor was to create biometric passports and enable passports to be renewed electronically via the Internet. This was expected to provide the ability for the system to expand to produce Internal Passports, or Identity Cards, for every citizen from birth to death. The system was then expected to be combined with a series of other databases to provide instant access to personal health, finance, tax, and criminal records for any citizen and the ability to sell any of this information to any commercial organization. The EPA2 electronic passport applications system was due to be introduced in late 2004. It was introduced in May 2006 and was rapidly brought down when its performance had seriously degraded and threatened to create total chaos in the issuing of passports. In the meantime the Identity and Passport Service will try to limp along using the old EPA1 system. A spokesman is now forecasting that the EPA2 system will not become operational now until mid 2007 and the date may well be further delayed. In view of the very indefinite date for operation, the full extent of budget overrun is currently unknown but expected to be significant. With the NHS central records systems in melt down, failure of the EPA2 may not be the greatest problem for the Blair regime. The grand plan to be able to control in detail the life of every citizen depends on every database functioning efficiently. The NHS IT project alone is the largest IT project ever attempted in the world and looks set to be the defining disaster story of IT misdevelopment and failure. Civil liberty groups that had been warning of the destruction of personal freedom in Britain may have been greatly over estimating the the ability of the Blair regime to deliver anything. What is unfolding is incompetence on a monumental scale and a waste of public funds that no government in the world has been able to match. 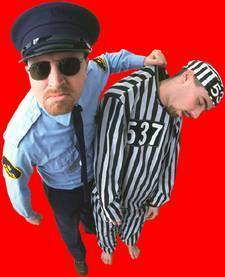 10 Downing Street has expressed surprise, shock and outrage that the Metropolitan Police are actually looking for evidence to convict criminals. They had thought the investigation into corruption and abuse of power by the Blair regime would just be another quick and dirty whitewash in the style of the Hutton Inquiry. It seems that the police are taking their task seriously and looking for real evidence, with the noose tightening around Downing Street and Tony Blair. With the Bush Adminstration waiting in their departure lounge, Blair is looking more exposed every day. His hope now is to try to cling to power and put off the day when crinimal charges may be brought against him for corruption at home and war crimes abroad. It had been expected by Gordon Brown that the inquiry into corruption would help him to oust Blair early and take over as Prime Minister. The latest leaks from the Westminster Village claim that police are starting to find evidence to tie Brown in with the corruption allegations that are being investigated. Perhaps it should be no more surprising, than police searching for evidence, that Brown, as a senior member of the Blair regime from the begining, should be connected to, or have detailed knowledge of, party fund raising, particularly as he held a key role in runnng an election campaign that spent much of the money. Wind turbines are becoming very fashionable as politicians see a new bandwagon to jump onto. The current trend is to claim that the fitting of a wind turbine to every building, public or private, will produce a profit for the owner. This is a simplistic and misleading claim because the generating ability of any wind turbine will depend on the location and the typical weather conditions in the area. There is also mounting evidence that the siting of many turbines in any area will change the local wind patterns. Where the density of wind turbines is high, one turbine may steal the wind from another. Like much of the “Green” propaganda, inaccurate claims risk eventually destroying the sound arguments for considering ways to reduce our demand for non-renewable resources. In the meantime it will be an opportunity for vendors to market products that they might otherwise be unable to sell, at a profit margin that would not normally be possible. An example of this in the past has been of companies claiming that their washing power was “green” because it did not contain a list of chemicals that were harmful to the environment. 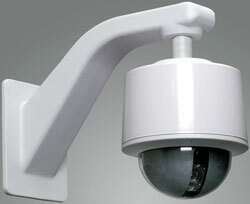 The claim was used to increase sales against competitors and to justify higher prices. Unfortunately, none of the harmful chemicals had ever been present in washing powder, the claims being a hoax for market advantage. Wind turbine vendors are now rushing to claim that their products provide a new income, because they will reduce the amount of electricity bought from the public generating company, and that they will produce surplus electricity that will be sold to the public generator. What they fail to point out is the annual cost of their products – as amortized capital cost and continuing costs for maintenance and repairs. When these costs are carefully calculated, current products represent a net additional cost to the owner, unless energy prices from public generating companies very significantly increase. A common claim is that a particular product will show a profit over twelve years, when saved and sold electricity is set against the original purchase price of the generator. The claim fails to point out that the product has a life of only seven years and that there will be a number of other costs incurred during installation and further cost introduced by maintenance costs during the seven year designed life of the product. 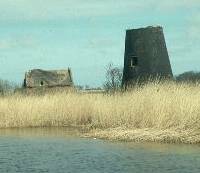 The Broads is an area where a series of lakes, mostly created by Medieval peat digging to produce fuel for the fires of Norwich (and therefore a form of both pollution and use of non-renewable/slow-renewable resources), are connected together by a network of rivers, irrigating farm land and taking runoff water into the North Sea. The rivers formed the natural transport infrastructure in the region for centuries and are still used for commercial cargo carrying, but the main water bourne activity is now leisure sailing and the Broads, together with an extensive surrounding network of nature reserves managed by a number of Charities, notably RSPB, is an vital staging area for migrating birds. Wind power was an important resource in the Broads, both for powering milling machinery and for pumping water. Once, hundreds of wind mills and wind pumps dotted the area but their broad sails rotated relatively slowly and did not present the hazard to birds that the modern wind turbine creates. Today few remain; some derilict; some converted to houses, and; some restored to their former glory. One recent example of overly high expectations, or disinengenuous propaganda, is a press release from the Broads Authority. This quango was set up in the United Kingdom to administer the Broads National Park. 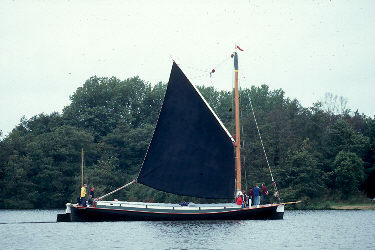 It has come under increasing attacks from sailors and companies hiring out pleasure craft who claim that although they provide most of the funding for the Broads Authority, very little has been spent in return on maintaining navigation, even though this is a legal duty on the Authority and has an effect on the Broads ecology. Critics have cited two areas of spending which they claim is the reason that the Authority has been unable to fund work to maintain and improve navigation on the network of lakes and rivers in the Park. They point out that most of the income of the Authority is used to pay a rapidly increasing wage bill for a greatly enlarged staff, and to pay excessive expenses from employees for car parking near to the Norwich headquarters of the Authority. 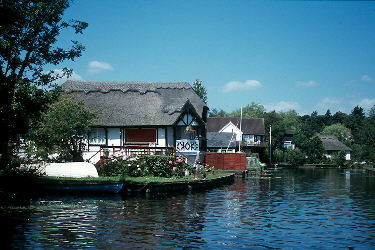 Like many an unaccountable and unelected Quango, the Broads Authority appears to consider that its prime purpose is to provide a comfortable life for its employees, followed by a duty to political correctness, and then a token consideration of other issues – if there is any resource left over. The press release announces: “Eco School Ellingham Primary will keep the Green Flag flying by becoming the first school in Norfolk and Suffolk to have its own money-making wind turbine. The school, near Beccles, has raised funding for a 12 m high turbine which will not only provide the school with its own electricity but will enable it to make money by selling power to the National Grid. On 14 November,11 am, the Broads Authority’s Sustainable Development Fund administrator, Nigel Dark, will hand over a £5670 cheque to the school as the first payment towards the £24,000 wind turbine. Powergen has agreed to give a similar amount, while the dti will fund the rest. The SDF is money given to National Parks by Defra for sustainable projects. 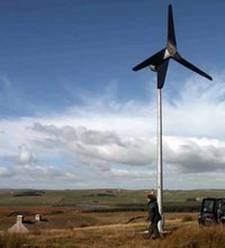 If the wind turbine is installed at no cost to the school, it should show a profit because the only cost would be to maintain the turbine through its working life. That maintenance cost should be considerably lower than the value of electricity generated by the turbine during its life. Sailors who use the Broads and pay tolls to the Broads Authority may consider that a better use of the Authorities SDF money would be on projects that directly benefit the ecology of the waterways and wetlands that make up the Park, such as in encouraging arts and crafts that use the natural sustainable materials available in the park, and in encouraging the construction and use of vessels that are acceptable to sailors but which will reduce pollution in the Park area. Some will see the most unacceptable aspect of the events described in the press release as being the growth of propaganda to manipulate, particularly to condition young minds to a new faith. The Millenium Dome has come to symbolize the Blair regime in inaction. This project was also claimed to be the answer to regeneration of East London and consumed many millions of pounds more than was budgeted, raiding the Lottery Fund coffers at the expense of charitable organizations and still proving a monumental failure. 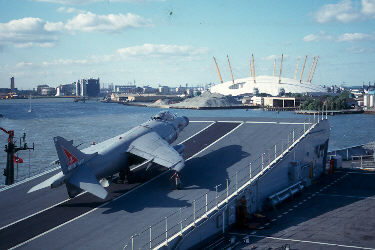 Perhaps the kindest act would have been to use it as a target for RN Sea Harrier bombing practice. Lets hope the 2012 Olympics does not prove to be a re-run of the Dome fiasco. When the Blair regime trumpeted the wining of the 2012 Olympics for London, it forecast a huge regeneration of East London and significant economic advantages. These claims should perhaps have been doubted in view of the Blair track record of project non-delivery, and of political interference in sport. Having recently seen the resignation of the American heading the agency responsible for providing the necessary infrastructure, the latest disaster is a spat between Blair’s Ministers and the admission that Value Added Tax was not planned for and could leave a huge hole in finances for the project to prepare and run the 2012 Games. With the electoral reverses suffered in the US by the Bush Administration, and the UK police closing in on Prime Minister Blair, an increasing number now fear that there will be no consistent support and funding from the British Government. They point to the experiences with the Millennium Dome where political interference, cronyism, project drift and greedy workers threatened plans to complete the venue for the Millennium Celebrations. There are many parallels between the failed project for the Dome and the 2012 Olympics, notably the fact that planning is extremely ambitious, but unfocussed, and where the end date is fixed, which allows suppliers and workers to hold the project to ransom. Claims that London will be part of the Arc Manche Republic before 2012 further muddy the already murky waters. Paris, capital of the Arc Manche Republic, was unhappy to see London win the competition to host the 2012 Olympics. A some are now pointing out that the Olympics should be hosted in a Capital City rather than a regional market town, which is what London would become under the Arc Manche expansion plans, making Paris the obvious choice to salvage the 2012 Olympics. The Franco German aviation company, Airbus, is facing challenges from all sides. The move to disaster is picking up pace and each day makes it that much harder to hault the slide. FedEx has switched from Airbus to the rival Boeing 777 as the logisitics company loses patience with the continual revisions to the delivery schedules for varients of the A380 Super Jumbo. The FedEx decision to cancel Airbus orders and order 777s started a fall in Airbus stock values and gains in Boeing stock prices. It looks increasingly likely that this will lead to attempted massive support from the German and French Governments for the failing Airbus consortium which may be blocked under EU subsidy rulings. Other “customers” are now considering cancellation of Airbus orders and a switch to Boeing for 777 and 787 aircraft. The first of a series of senior Airbus personnel have resigned amidst claims that Airbus is now ungovernable without a major restructuring plan. Fears for jobs in the United Kingdom grow as industry pundits forecast that the German and French Governments will demand British job losses to safeguard German and French jobs in return for bailing out the faultering company. Britain is in a poor position to counter such moves now that BAE has sold out its stock holding in Airbus to limit future liabilities and to concentrate on its profitable and expanding military business which has seen acquisition of companies in the United States to strengthen trading. It all seems such a sea change when only months ago Airbus executives were crowing, claiming to have beaten US aviation giant Boeing into a poor second place for commercial airline business. Some now see Airbus as a metaphore for the United States of Europe, claiming that Eurocrats are stifling industry while claiming continual triumphs worthy of the annual reports from the 143rd Urals Tractor plant during the unlamented days of the Soviet Union. The United Kingdom has joined Russia and China as the countries that most spy on their citizens. The fear of global warming is about to provide a bonanza for tax collectors. Taxpayers are coming to be addressed as “polluters” in an attempt to stifle any protest against draconian increases in taxation. Treasuries around the world are dusting off plans to extort money from their citizens that were previously considered too extreme to be politically justifiable. Passing the highly contentious issues of whether global warming is a fact rather than a new faith, whether it is a continuing problem if unaddressed, whether it is a natural event or a situation created by human intervention, it should be asked what is going to happen to all this money. Initial indications are not good. A number of governments re providing evidence that they are simply using the extra tax to increase the earnings of politicians and to pay for propaganda and government corruption. Newly elected President of the Republic of Arc Manche generously made an October Presidential Visit to his subjects in the western Departments of the new Republic, a Member of the United States of Europe. If President Alain Le Vern was expecting a crowd of flag (the blue flag of Europe naturally) waving rosbifs he was to be disappointed. No one interviewed in the former British territories admitted to even being aware that he had been elected to rule over them, much less that he was actually paying a Presidential visit. They were also unaware that they had been transferred into the new French-speaking Republic by the Brussels Eurocrats. For the benefits of his new subjects, President Le Vern is a French Socialist and ‘Non’ we could not establish who had elected him. He made this first foray from his capital city of Paris, formally capital of the French Republic, to meet his rosbif Eurocrats for a “strategic vision” meeting which included the discussion of new maps, road signs and other changes to eradicate evidence of former British rule of the Western Departments of the Republic. The Western Departments were previously the counties of South East and South West Britain. Another map shows that Arc Manche will include the area in a line from North Essex to Bristol, that includes London. One has to assume that this area is due to be annexed shortly. 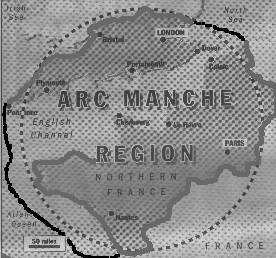 Arc Manche is the pilot for a complete redrawing of the map of Europe and intended to crush all signs of national identity. Former British territory was clearly added to Belgian and French territory to deal with a people seen by Eurocrats as unacceptably democratic and resistant to rule by un-elected officials. They are also seen as unacceptably pro-American, the natural rival to the European Super State. Eastern Britain is due to be combined with parts of Sweden, Denmark, Germany, Belgium, the Netherlands and Norway, which may come as a particular surprise to those Norwegians who thought they had voted not to join the European Super State (that unacceptable behaviour has been made worse by their continued prosperity outside the control of Eurocrats). Wales and Ulster are to be transferred to Ireland. Scotland will be divided and absorbed into two new Republics, together with Greenland, Iceland, Norway, Sweden and Finland. After Britain has ceased to exist, the Eurocrats will then press ahead with the Balkanisation of the rest of Europe. This weblog has been set up to publish controversial news and views and to also post alternative comment. Some of the targets will be political correctness, governmental incompetence, attacks on civil liberty.